1. It gives you self knowledge and this is perhaps the strongest weapon you should have if you want to conquer life. 2. If you are in class 10th it can help you in choosing the “right” stream or “right” subjects. 3. If you are in class 12th then it can help you in choosing the most suitable course/ field of study. 4. If you are doing your graduation or have completed graduation and thinking about what next then these tests can help you in choosing higher education option or field of work. So we can see that career assessment tests are like a master key that helps us to know about ourselves and help us unlock the mystery of the most suited career option. So it becomes imperative that we choose the best career assessment test available. There are so many tests that are available. Some are online while some others are offline. Though there is a lot of choice but it is after all the question of our future, so we should choose only that option which is the best! 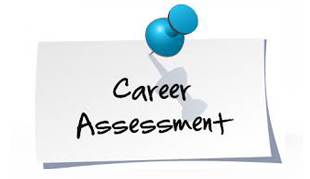 How to identify a good career assessment test? 1. What are the attributes that the test is assessing? Is it interest, or personality or aptitude or what? And a good career aptitude test for choosing the stream or courses after 12th should assess all three important attributes, vis-à-vis, Aptitude, Personality and Interest. If even one is missing it means it is not a complete assessment. 2. What is the reliability and validity of the career assessment test? The test should be reliable, valid and should be tried, tested and perfected on the population on which it is being used. For example: if you are an Indian then the test should be tested on the Indian population. So if you are taking an online assessment you can check on the site of the test provider about who developed the test, what is the reliability quotient and has it been tested on Indian population or not. 3. What and how is the output? Is it only giving the scores for the attributes or is also giving the interpretations. As without interpretations, it may be difficult for you to make any sense out of that test. 4. Who will analyze and personalize the output? You must also check as to who is analyzing the test results and is personalizing it so that your career is planned. Ideally, it should be analyzed by experts and psychologists to give maximum benefits. 5. Is it solving my problem? Is it narrowing down my career path? If the output of a career assessment test gives you 10-15 career choices from different streams and fields then the confusion will remain as it is! Perhaps you were better off before the career assessment. So for maximum benefit you should choose a reliable, comprehensive career assessment test that helps you know your strengths and shows you the road ahead.